Ask for a meeting with Abhaykumar Firodia and you hear back within hours. Exact timings are given. The directions to his office in Pimpri-Chinchwad, an industrial cluster on the outskirts of Pune, are short and crisp. Once there, the meetings proceed with clockwork precision. This discipline is hardly surprising given that Firodia has had a long history of collaborating with the Germans. 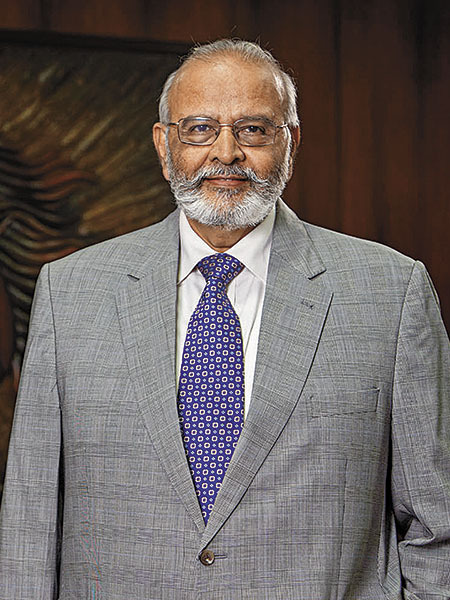 “Over the years, dealing with the Germans, their purity of technical thought, their dedication to quality—they’ve became part of the operating DNA of our company,” says Abhay Firodia, 72, chairman of Force Motors. Spend time with him and it becomes clear that the ethos has seeped into the organisation. It is also evident that he’s not afraid to speak his mind. Just a day before Forbes India met him in September, he’d spoken out on the ad-hoc nature of the Supreme Court-imposed ban (which was lifted in August after the imposition of a new tax) on diesel cars (above 2000 cc) at the annual meeting of the Society of Indian Automobile Manufacturers. “The courts and the green brigade have to engage the country in a manner that is constructive,” he says. “Bans won’t necessarily solve things.” He was also concerned that the industry would have trouble in meeting the new Bharat Stage IV emission norms that are due to be implemented by April 2017. The Firodia family has a distinguished place in the country’s auto history. They have pioneered several innovations which became a staple for travel. For instance, father Navalmal Kundanmal Firodia set up the first autorickshaw manufacturing facility in India in 1947. The family also introduced the Tempo, the three-wheeled goods carrier; the Matador; the Luna; and scooters that were made by Kinetic Engineering in collaboration with Honda Motor Company. (In the 1990s, before the Tata Nano came along, Abhay’s cousin Arun, who runs Kinetic Engineering as a separate entity now, also wanted to launch a Rs 1 lakh-car but the existing duty structure made it unviable.) Both the Luna and Kinetic scooters are no longer in production. Today, Force Motors is run by son Prasan, 37, who is the managing director. It is the only listed entity in the Firodia empire and has seen its market cap triple over the last two years to Rs 5,110 crore. Privately-held Jaya Hind Industries has a large flourishing auto components business. Add to that, the Firodias have stakes in various companies run by the Bajaj family (rank 17)—for instance, Bajaj Auto and Bajaj Finserv, which have also seen their valuations rise rapidly in the last year. 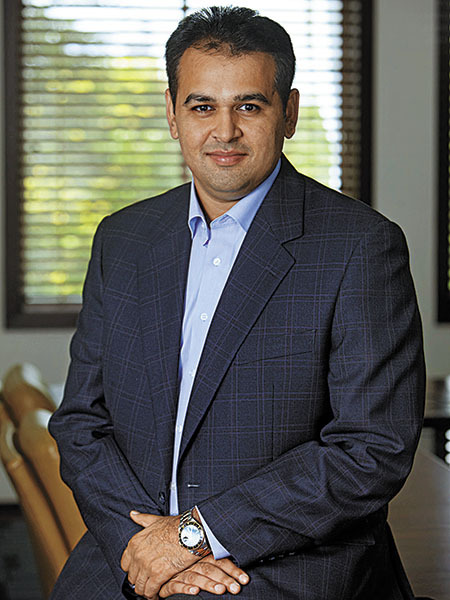 As a result, with a net wealth of $1.85 billion, Abhay Firodia has moved up 18 spots to number 70 on the 2016 Forbes India Rich List. The Firodias trace their roots to a village named Firod near Nagaur in Rajasthan. It was in the early 1800s that the family migrated southwards to Maharashtra. Navalmal Firodia graduated in law and set up a practice in Ahmednagar and even went to Yerawada jail during the freedom struggle. A year before Independence, he decided to give up his legal practice and started out as an entrepreneur setting up Jaya Hind Industries, which began as an agency in the mid-’40s for Woodstock typewriters in Mumbai. The first telegraphic address of the company was ‘nek bepar’, which stood for nek vyapaar or ethical business. Not to be satisfied with just importing and selling typewriters, the restless Firodia senior came up with the concept of a three-wheeled people carrier. He was inspired by the three-wheeled goods carriers in Europe, which were used to deliver to bakeries or florists, and thought (rightly) that he could convert the idea to a people carrier. A joint venture (JV) between the Firodias’ Jaya Hind Industries and Jamnalal Sons (the Bajaj family) through Bachraj Trading Corporation in 1947 was formed to build the now-ubiquitous autorickshaw. “There seemed to be no conflict in terms of the business model from the point of view of the operator, the government or the passenger,” says Firodia. This JV eventually morphed into Bajaj Auto and is now run by the Bajaj family. And although his own family no longer manufactures autorickshaws, Firodia takes immense pride in the fact that the vehicle was his father’s “invention”. For good reason: Nearly 60 years on, with millions of autorickshaws plying across India, it is this contribution of the Firodia family that has stood the test of time. At that time, though, even as he was entrenched in setting up the autorickshaw business, it wasn’t enough for NK Firodia. He went on to set up Firodia Tempo in 1957; this was a joint venture in collaboration with Germany’s Vidal & Son’s Tempo Werkes, to manufacture a three-wheeled goods carrier called Tempo Hanseat. “He wanted to replace the bail-gaadi (bullock cart),” recalls Firodia. Then, in 1958, there was a three-way arrangement with Vidal & Son’s Tempo Werkes, the Firodias and the Bajaj family. This JV was named Bajaj Tempo Company, and manufactured Tempos out of Goregaon in Mumbai. (The two JVs eventually combined, and became Force Motors in 2005). There was a messy separation with the Bajaj family in 1970, which resulted in the two parties having holdings in each others’ companies (but more on that later). Abhay Firodia started coming into his own by 2000. By then, the family had entered the auto components space through the unlisted Jaya Hind Industries, which has since built relationships with all the car manufacturers in the country. They would make engines for, say, Ford Motor Company and brakes for Mahindra & Mahindra. Over the years, as Vidal & Son’s Tempo Werkes changed hands, the Firodias found themselves in an association with German auto major Daimler. They eventually bought Daimler out in 2001, but not before reaping the benefits of this relationship. Because, in addition to making the Firodias acquainted with German systems and processes, it also gave them significant credibility. Soon, they were presented with the opportunity to assemble Mercedes cars when the German auto company set up shop in Pune in 1997 through a tie-up with Tata Motors. Today, the engines and axels of all Mercedes cars sold in India are assembled by Jaya Hind Industries. Son Prasan explains: “They come in completely knocked down versions and then we put everything in place. We are even responsible for the warranty.” Recently, they have entered into a similar tie-up with BMW in Chennai to assemble their engines. But it is the turnaround at Force Motors that has propelled the Firodias’ net worth: The family has a 60 percent stake in the company. “It has crystallised into a focussed business on the mass transportation of people,” says Firodia of Force Motors. The company finds itself as a leader in the mass transportation space, explains Prasan. And as Indians travel more, the need for reliable, efficient transportation has increased manifold both for within and between cities. While Volvo has emerged as a front-runner for inter-city travel, there is also a requirement for smaller vehicles that are just as dependable. It is in this market that Force Motors has carved an enviable niche for itself. The Traveller ‘mini-bus’ and its various models (that are used as people carriers and as ambulances) have become a clear leader in the segment. Further, the experience in the components business has meant that “we make our clutches and brakes in-house. We even have our own cast iron foundry,” points out Prasan. Within cities, the IT enablement of transport has resulted in Force Motors working with app-based bus aggregators that provide travel services to office workers. It has already supplied 2,000 buses and has orders for several hundred more. “One knows exactly where the bus is at any given point. Through a camera, one can watch what is going on inside the bus,” explains Firodia. Lastly, Firodia was responsible for a successful entry into the tractor market in 2015. Though Prasan admits that the numbers are small, he says they have made a name for themselves in the 25-50 HP market for orchard tractors. One bet that went wrong was the Force One, an SUV for personal travel. Prasan admits the company under-estimated the styling and design requirements. They’ve sold only about 1,000 units to date (it was launched in 2011) and the car is not a focus area for the foreseeable future. With utilisation levels increasing (in the last two years, the company has moved from selling 1,100 to 2,000 Travellers a day) and fixed costs taken care of, Force Motors has seen a disproportionate increase in its profitability. During that period, its profit has compounded at 52 percent to reach Rs 179.4 crore. The Bajaj family, which held 21 percent in Force Motors, exited in 2014 and this improved liquidity in the stock. In addition, the Firodias have a 20 percent stake in Israel’s Rivulis, the world’s third largest drip irrigation company. There are also the holdings in Bajaj Auto and Bajaj Finserv which Firodia sees as a purely financial investment. “They are well-run companies; I don’t want to sell those stakes and then worry about where to invest that money,” he says. For now, Firodia has handed over most of the reigns to his son. He still comes to office every day and is active building a museum in Pune on the culture, history and philosophy of the Jain community in India. He plans to make it a futuristic undertaking with less reliance on statues and artefacts and more on digital elements and even virtual reality. Still, he’s not lost sight of the business he has helped build. He sees his group significantly expanding the components arm. He’s also interested in seeing how the industry will evolve. Two predictions from him: First, the IT enablement of transport will increase manifold, and, second, electricity will become an important source of propulsion in the next decade for something like 25 percent of vehicles. The initial step in this journey could be the electrification of buses along a certain route. Having already made inroads in the first opportunity, the next challenge seems clear for the Firodias.